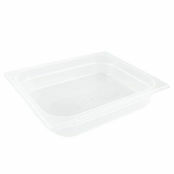 Gastronorm Pan One Sixth Size 3200ml is also available in the following variations of colour or size. 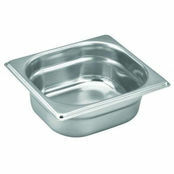 Below are other products that are similar to Gastronorm Pan One Sixth Size 3200ml. 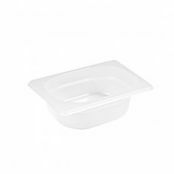 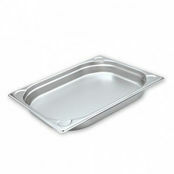 Maxipan Gastronorm Pan One Sixth Size are available in four sizes from a depth of 65mm with a one Liter capacity to a depth of 200mm with a 3.2 Liter capacity. 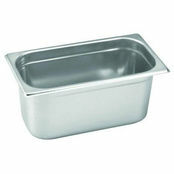 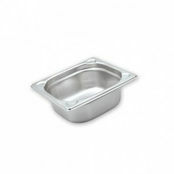 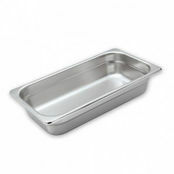 These Maxipan Gastronorm Pans are One Sixth Size pans are constructed of quality stainless steel. 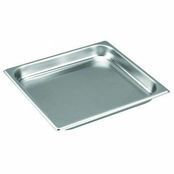 Maxipan Gastronorm Pan One Sixth Sizes are available in four sizes. These Maxipan pans are available from a depth of 65mm with a 1 Liter capacity to depth of 200mm with a 3.2 Liter capacity.